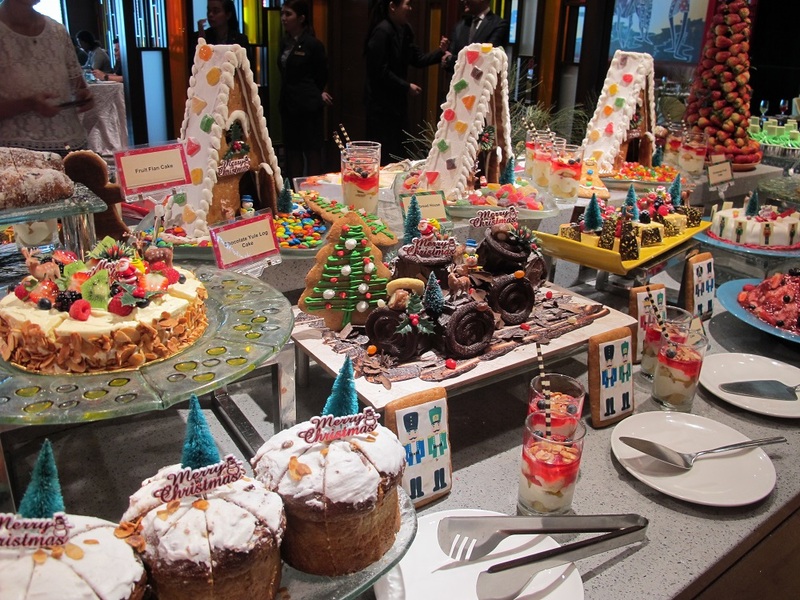 Without a doubt, the best part of any festive season in Malaysia is definitely all the delicious FOOOOODDDD! 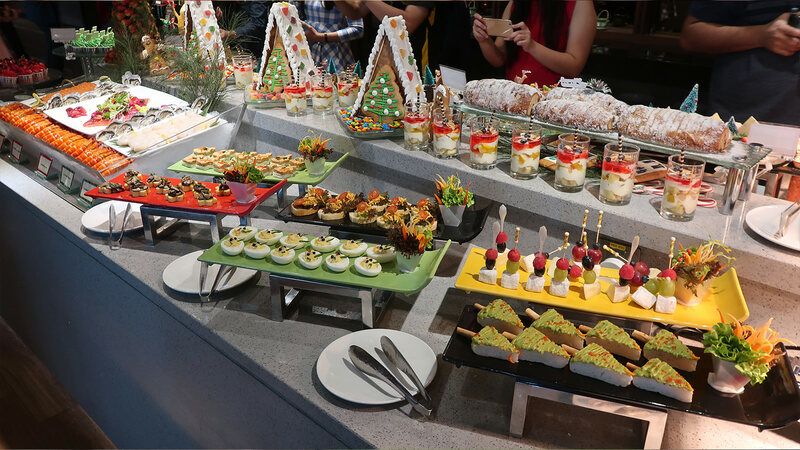 Whether it's Chinese New Year, Hari Raya, Deepavali, or Christmas, holidays in Malaysia are made extra special by gathering with your loved ones to nom nom nom away on the endless spreads of seasonal food. 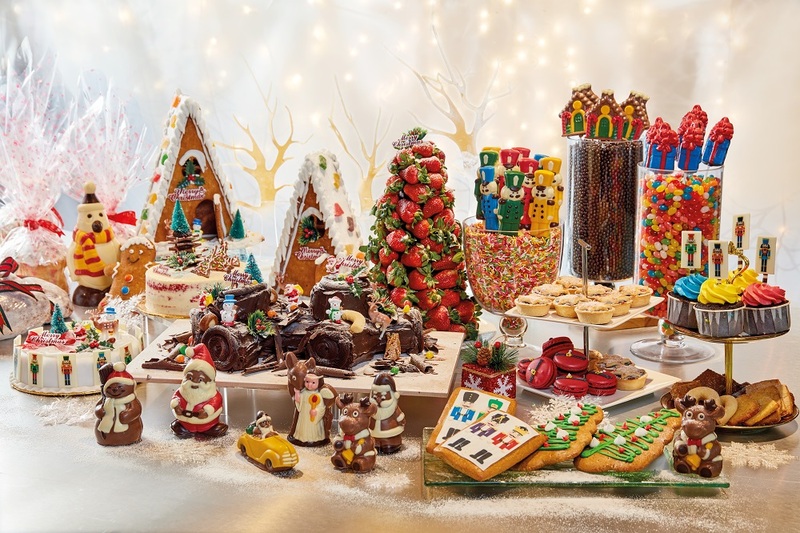 Inspired by the fantastical world of 'The Nutcracker', Sunway Resort Hotel & Spa wants to bring out the inner child in you by bringing a fairy-tale Christmas to life with themed decorations, festive gourmet treats, stay packages, and much more starting from now all the way up till 1 January 2019. Don't skip out on these just to save room for other stuff. 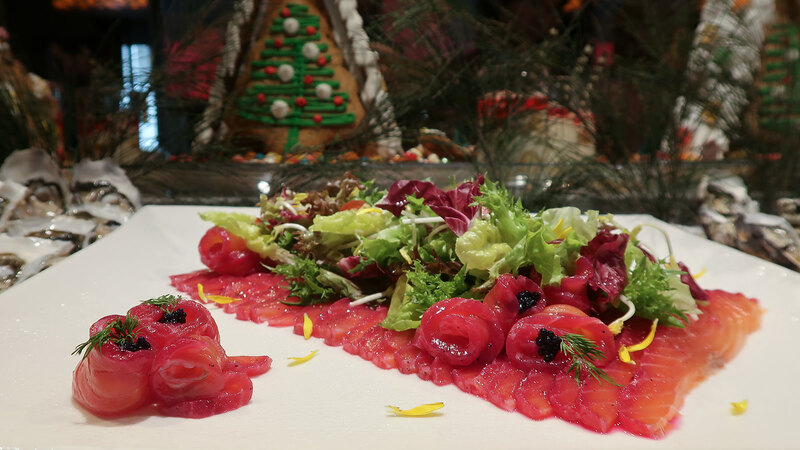 From deviled eggs that look like little rabbits to spears of toast shaped like Christmas trees, the selection of canapés were as yummy as they were adorable. It wasn't just the pretty maroon tinge that made this dish a total standout, it was one of our absolute favourites! The salmon itself was incredibly fresh and flavourful on its own, but the edition of capers, caviar, and dill added a salty and herby kick. It paired beautifully with the accompanying leafy salad with edible flowers and manuka honey mustard dressing. We kept going back for more! If you've never had traditional Christmas fare before, now's the perfect time to try. 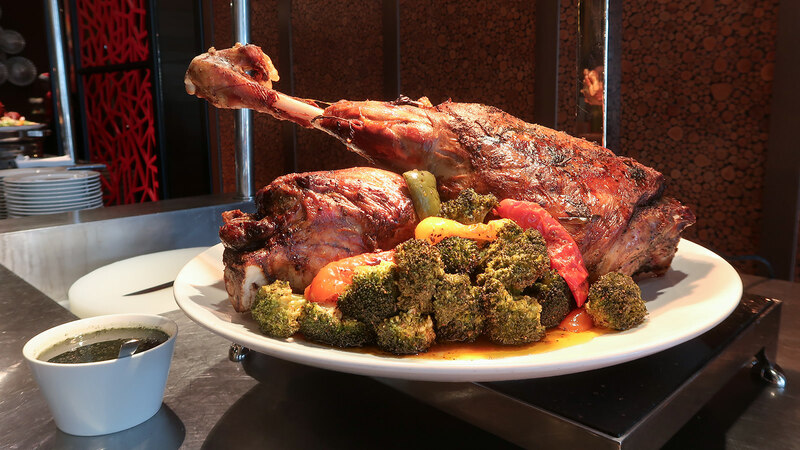 Golden brown and roasted to perfection, both the dark and white meat of the turkey was juicy and savoury. Don't forget to serve yourself some stuffing and cranberry sauce too. 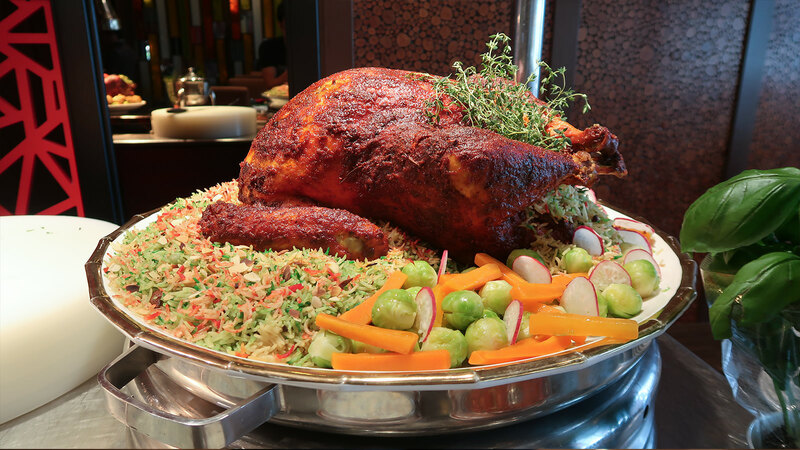 We really enjoyed this unique Indian twist to the traditional turkey, the familiar taste of tandoori spices really came through and added a whole new dimension to the dish. We wouldn't have thought that turkey would go well with rice but this version definitely paired well with the aromatic and fluffy basmati rice. This was hands-down our favourite dish of the day! 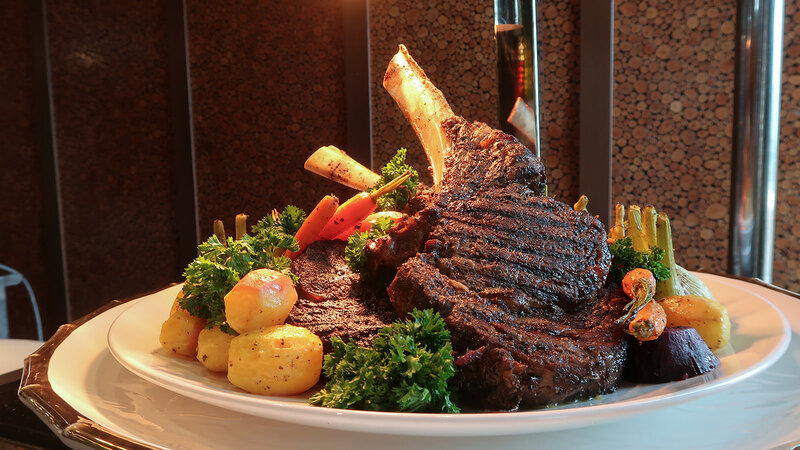 The beef ribeye was expertly grilled, resulting in a gorgeously even cook throughout the meat and we swear that every piece (especially the ones with the fat mmm!) just melted in our mouths like butter. We had to stop ourselves from going back for more even after we were ridiculously full. 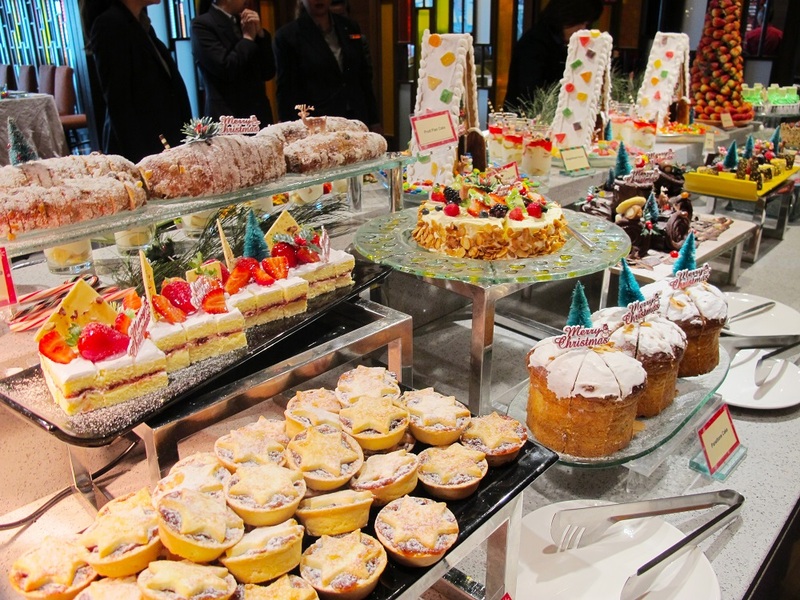 We were legit SO FULL by the time it came to desserts but we still made room to try them and we regret nothinggggg! 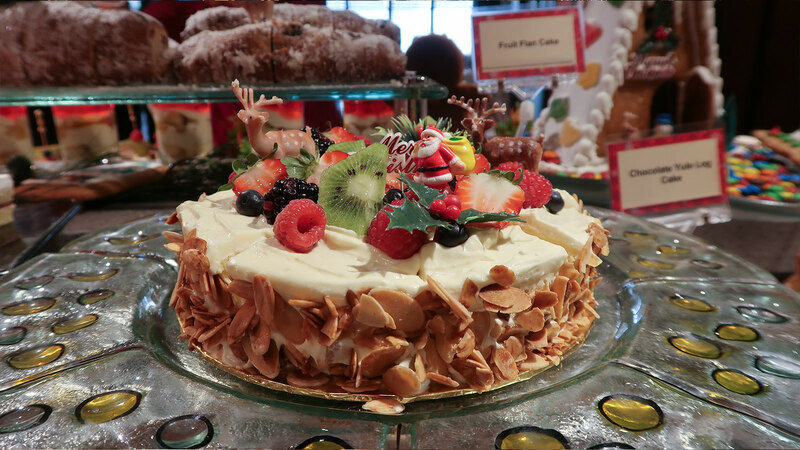 There was just so much on offer - from Christmas classics like pudding, mince pies, and a yule log, to timeless desserts like mixed berry cheesecake, berries panna cotta, and strawberry shortcake. 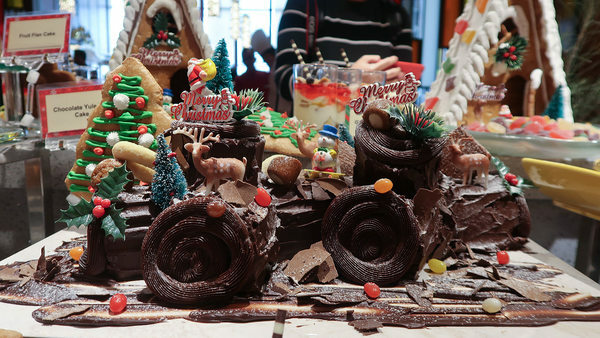 Want to try this Wondrous Christmas Feast for yourself? Book now to enjoy an early bird discount of 30% off! 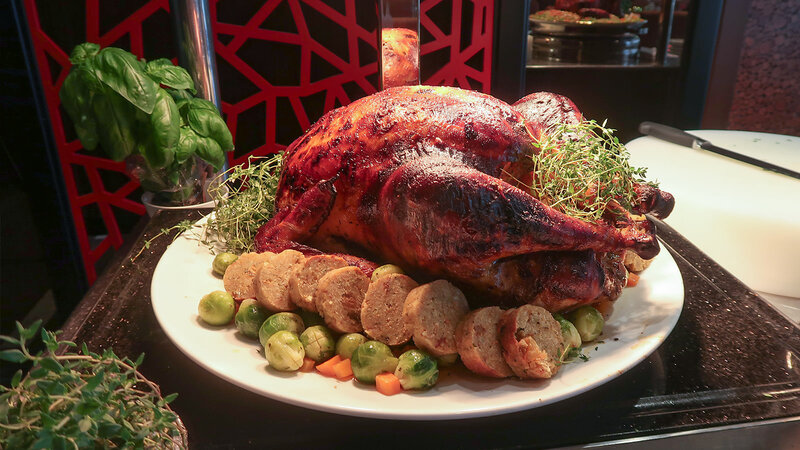 Plan ahead and receive 30% off the Christmas (24 & 25 Dec 2018) and New Year (31 Dec 2018 & 1 Jan 2019) buffet offerings when you confirm your seats before 10 December 2018. In addition to the buffet, Sunway Resort Hotel and Spa will also be having a full month of different festive promotions. Click here to find out more.